Sahara, signed Frogman Bronze from artist Tim Cotterill. 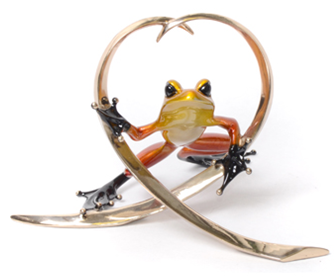 Say hello to Sahara, the delightful Frogman Bronze from artist Tim Cotterill. A rare edition variation of Arrow, with splendid orange patina with and yellow belly. The perfect complement to your collection.